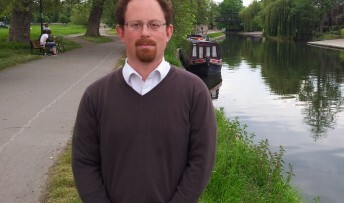 MP Julian Huppert has called on English Heritage to save Cambridge’s Flying Pig pub. He hopes it might be able to give the 1832 pub listed status to protect in law through the planning system so that it can be passed on to future generations. Julian, who is pushing a Private Members Bill to save the nation’s pubs and independent shops, has written to English Heritage after residents called for his help to save the pub, one of the first buildings on Hills Road, from redevelopment. He has asked representatives to visit the timber-framed Flying Pig, which was built as the local for the railway workers building the Cambridge line, to see if it meets the criteria for listing or other protection. Julian said: “This pub is a vital part of our community and a thriving small business. It ticks all the boxes and yet it is still under threat. This makes absolutely no sense when we are trying to encourage small businesses and keep alive communities. Alex Freeman, of Selwyn Road was one of the residents who called for Julian’s help. He and his wife, Helen have been friends since they were 14 and built their social lives around the Flying Pig over the last 13 years. Keen Pool players, they visit twice a week and have become firm friends with publicans, Justine and Matt Hatfield. Mr Freeman said: “It’s one of those pubs where you just feel relaxed and you can go there confident that you will have a good time. It has an established atmosphere and clientele and there is never any trouble. Everyone respects Justine and Matt, the pub and the area. And it’s one of the last pubs in Cambridge to have a pool table. “It would be an utter disgrace to lose it. This pub binds the community together. It’s very sad to lose any pub but it would be terrible if we lost the Flying Pig. Absolutely! The Pig stands strong in the midst of all the new development and is a great pub – it should have a secure future. I fully support this and the wider campaign. I think many of you already know my feelings and I am so glad that Julian took notice of my letter in the local paper. Both my sons Fabian and HAL have been very much involved with the pub over many years – my mother used to go there for lunch! We all love The Pig and as there are fewer and fewer decent pubs left in Cambridge, it is criminal to even think of its possible demise. We must keep fighting – maybe the Red Lion could come and live in its back yard! I hope Julian and everyone is successful in this campaign. Perhaps a potted history of the pub would help. Back in the 1970’s I used to enjoy an occasional drink there when it was called ‘The Rose’.